It’s no doubt that Nigerian singing sensation,Simi and her mother have quite an intimate relationship that they would pass as siblings. 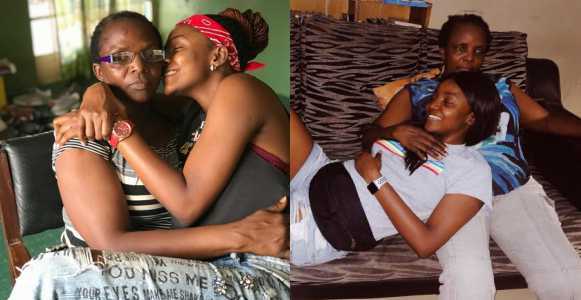 They are well known for their hilarious conversations on Twitter and Simi has once threatened to block her mum on the platform. 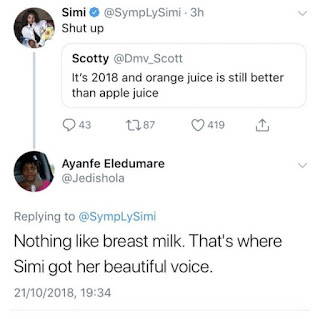 The duo have yet again left us asking for more following an exchange which ensued after the singer’s mum made a shocking disclosure on Twitter. Apparently, Simi’s mother suggests that the singer got her beautiful voice from breastfeeding which she says happened for six months.